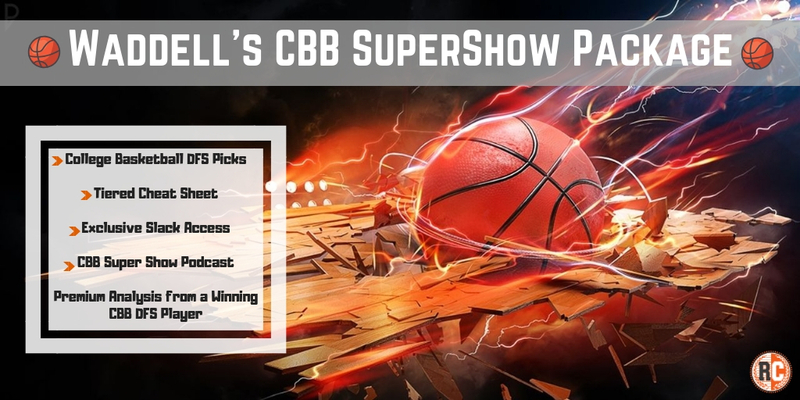 ALL CBB THROUGH ALL TOURNAMENTS! My name is Walter Waddell and I am very excited to provide College Basketball content this season on RotoCurve! I have been playing CBB DFS for a very long time, dating back to the glory days of DraftStreet. I am a 2014 Draftstreet Survivor Finalist, 2015, 2016 FanDuel Survivor Finalist, and I qualified for DraftKings March Madness Field of 64 Tournament in 2016. I have already won several tournaments this season and look forward to helping all of you have a successful year in CBB! Check out the FREE Podcast!